Partnerships are critical to the successful implementation of the PGSC Strategy. The responsibilities of regional surveyors and geospatial managers frequently correspond to broader initiatives, which all contribute toward achievement of sustainable development goals. The PGSC relies upon these relationships and is an important contributor toward global efforts to improve positioning and geospatial information management. The Pacific Community (SPC) established the Pacific Geospatial and Surveying Partnership Desk to provide secretariat services and support the PGSC in achieving its goals and objectives. SPC is the principal scientific and technical organisation in the Pacific region, proudly supporting development since 1947. In addition, the PGSC aims to collaborate with regional and international organisations, associations, educational institutions and technical groups to support progress on national, regional and global development objectives. 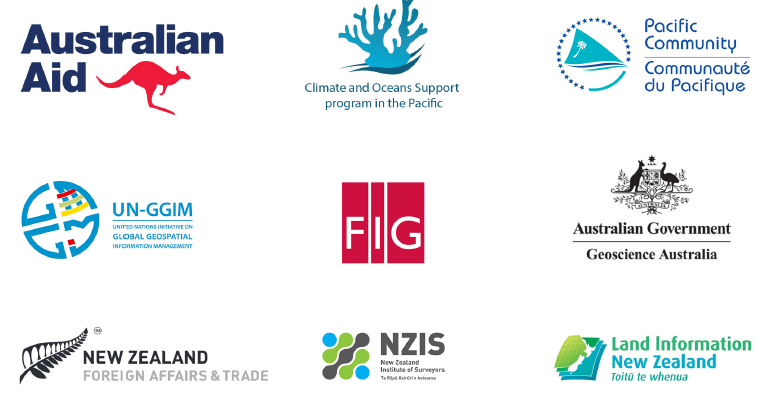 The PGSC acknowledges the particular importance of aligning activities with the Framework for Resilient Development in the Pacific (FRDP), the Framework for Pacific Regionalism, and other key Pacific regional and global initiatives. Some of these are featured below.